The desire to publically reaffirm wedding vows is a very special occasion. A renewal or reaffirmation of vows is a beautiful, sensitive time to reflect on your wedding ceremony which may have occurred weeks, years or even decades ago. The marriage may have taken place interstate or overseas and the couple now wish to ceremonially share the occasion amongst those who couldn’t be present. Significant wedding anniversaries are also wonderful to celebrate with a reaffirmation ceremony, possibly involving children grandchildren and even great grandchildren. 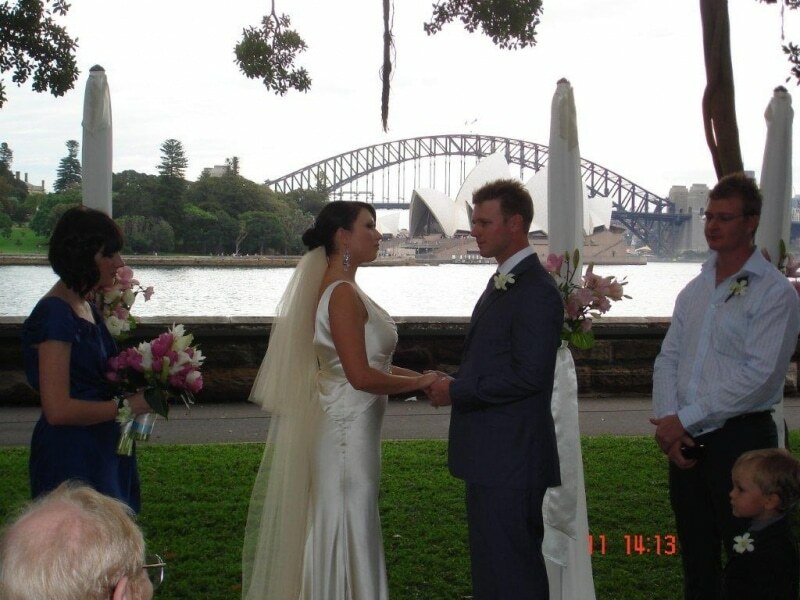 The ceremony can be completely personalised as it is not constricted with legal requirements.. It typically follows a similar format to a wedding ceremony with asking, vows, and even ring exchange if your wish. There are infinite choices as to the style of service and symbolism that can be used to enrich the ceremony and make it personal. A Reaffirmation Certificate, together with a bound copy of your ceremony will be presented to you as a memento at the conclusion of the ceremony.